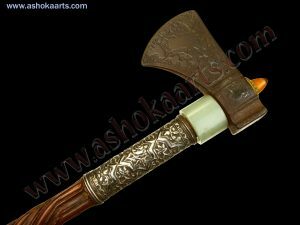 Indo Persian Haladie double – bladed dagger.. Rare Indian Weapons from Ashoka Arts..! 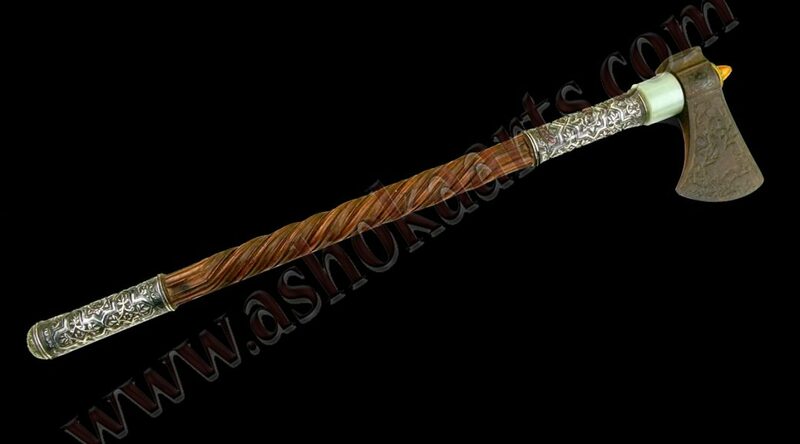 an intruiging and scarce Indian weapon the Haladie double-bladed dagger, also occasionally found in other countries such as the Sudan and China. Two opposing serrated steel recurved blades with a central ribbed handle or hilt grip, the ends of the blades split in zulfiqar fashion. Dating to the 19th century great display piece!! 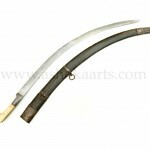 Fine quality indo Persian or Afghan All steel sword Pulwar or Pulwouar (tulwar). 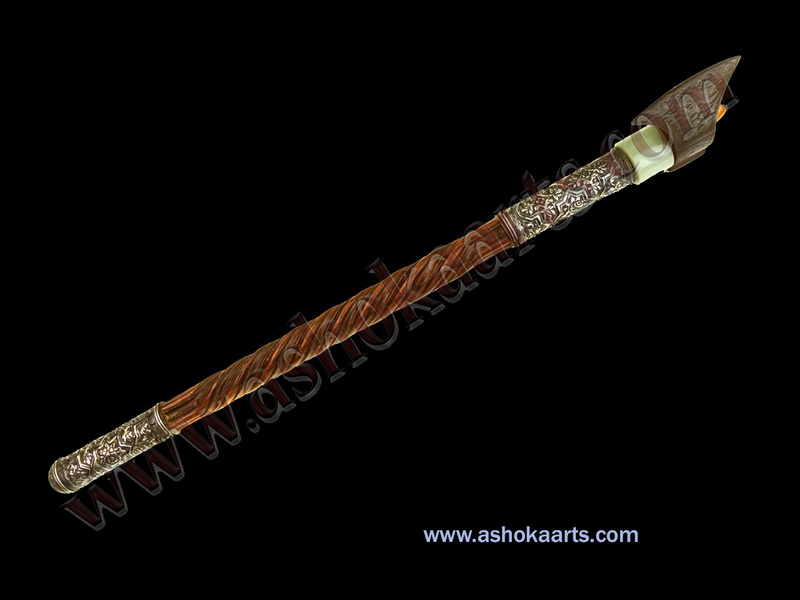 Two fantastic oriental weapons soon to be added to Ashoka Arts Fine Antique Arms and Armour. 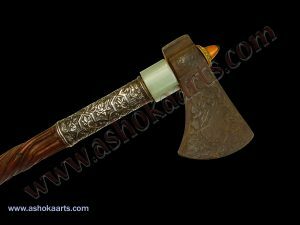 A scarce curved scimitar sword of ‘shashka’ or shashqa form with damascus wootz steel blade, and ivory/bone hilt complete with scabbard, and an antique oriental compound or recurved bow from Bukhara or Kazakhstan/Uzbekistan complete with its bowstring… both very rare pieces to find.. 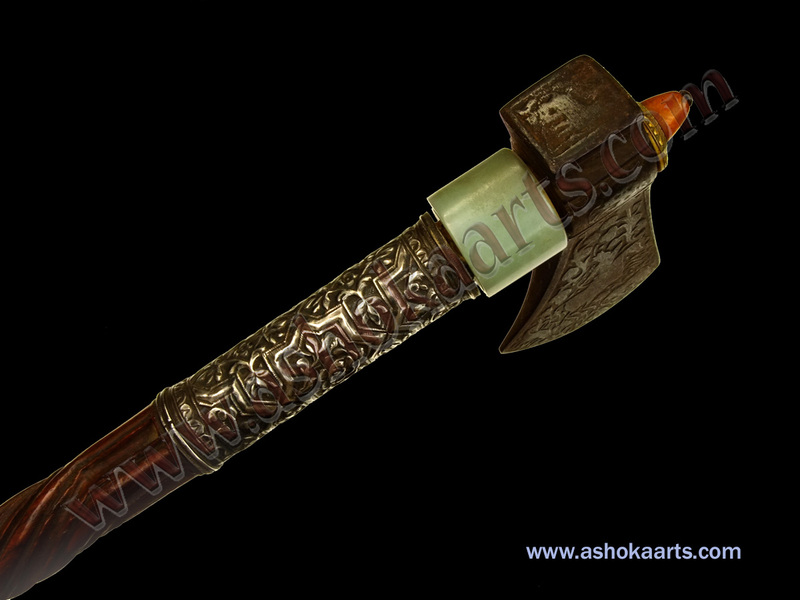 Both of these weapons are now posted to the website…!